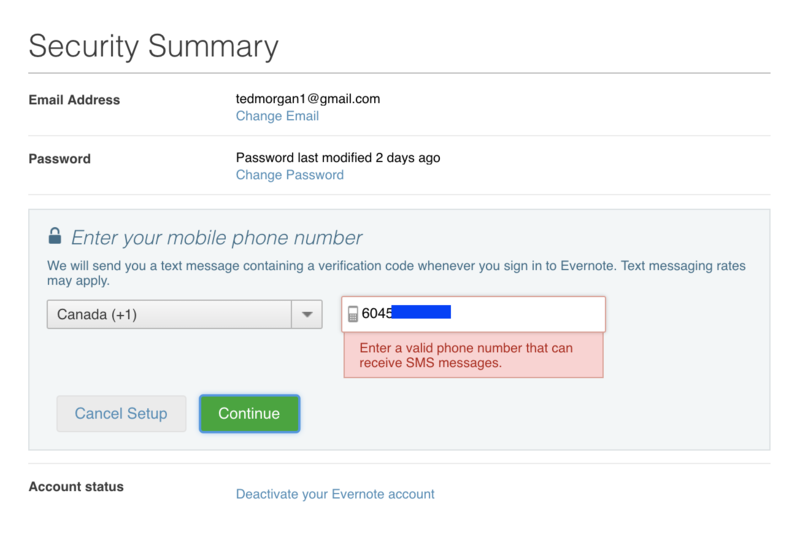 When I go to enter my phone number to set up two-step verification I continually get the error prompt shown in the attached screenshot. Regardless of the format I use for my valid phone number (that can receive SMS messages) I am unable to continue. Please advise how I can correct. @tedwlm I just tested this and did not encounter an issue with my cell phone. Is there something special about your phone number, such as being a Google Voice or other non-standard cell service? Nope, nothing special along those lines. I just tested it again in an Incognito window and got the same error.